It’s just 2.6 TB of leaked data, enough to be comfortably stored in a couple of standard-use external hard drives, but it’s causing a stir across continents and countries. It details shocking acts of corruption in Russia, hint at scandalous goings-on in a range of developing nations, may prompt a political crisis in Iceland, and even names beloved Argentinian footballer Lionel Messi. 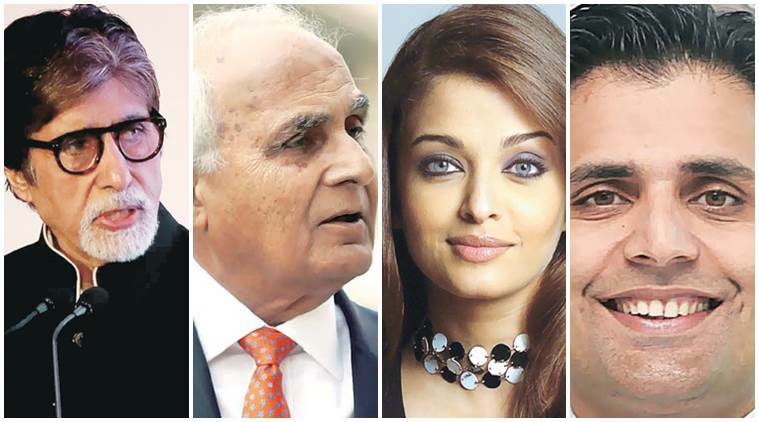 Closer home, the investigation is centered around several prominent Indians, including Amitabh Bacchhan, his daughter-in-law Aishwarya Rai, Indiabulls promoter Sameer Gehlaut and a slew of other businessmen. The 8 month long investigation by a consortium of global newspapers has brought to light the existence of shell companies in Panama – the country with the famed canal – which are being used for tax evasion and fraud. Here’s OfficeChai’s primer on the #PanamaPapers. A shell company is used to hide the true holders of company’s assets. It don’t always have to have shady purposes – for instance, Apple could use a shell company to work on a secretive project and hide it from prying eyes – but they can also be used to cover up fraud and tax evasion. Panama is a tiny country located between North and South America. With a population of just 40 lakh, it’s a serene, idyllic place, best known for its eponymous canal. But Panama, and several other countries in the Caribbean, have lax financial laws that allow for loopholes to be exploited by those who wish to do so. Panama allows bearer shares, which means a share is owned by anyone who holds it. Bearer shares are highly vulnerable to money laundering, as those who issue them don’t keep records of the buyers, and selling them is as easy as delivering a piece of paper to someone else. Companies can also be formed in Panama with ease. Two or more adults of any nationality, even those who do not physically reside in Panama, can create a company in the country. Vladimir Putin’s inner circle appears to control about $2 billion worth of offshore assets. The Prime Minister of Iceland secretly owned the debt of failed Icelandic banks while he was involved in political negotiations over their fate. Former Pakistan’s prime minister Nawaz Sharif’s family owns millions of dollars worth of real estate via offshore accounts. Ukrainian President Petro Poroshenko pledged to sell his Ukrainian business interests during his campaign, but appears instead to have transferred them to an offshore company he controls. Indians weren’t allowed to convert rupees into dollars and take them out of the country until Feb 2004. In Feb 2004, RBI allowed Indians to take money out of the country for purposes such as medical treatments, and also buying for shares in other companies. But RBI was silent on whether Indians could set up companies abroad. CAs took the ability to buy shares in foreign companies as a sign and people started setting up companies in foreign countries. In 2008, RBI categorically said that resident Indians can’t set up companies abroad, and even came up with a FAQ in 2010 and reiterated that Indians residents couldn’t set up companies in other countries. But CAs, like they are wont to do, came up with a hypertechnical interpretation of the regulations – they said that while Indians couldn’t set up companies abroad, they could buy existing foreign companies. Mossack Foncesca was a German company that stepped in to help. It created companies abroad, and Indians could conveniently buy shares in these companies created by Mossack Foncesca. In August 2013, RBI relaxed its norms and introduced a scheme that said that Indians could invest in a subsidiary and set up joint ventures abroad. It also added on the say that people who had owned foreign companies prior to 2013 had broken the law. But the leaked documents reveal that certain Indians had been setting up foreign companies even prior to 2004, and are still continuing to do so. It is alleged these companies were used to avoid taxes. Aishwarya Rai: Aishwarya Rai, along with her father, mother and brother, were named as directors of Amic Partners Limited, an offshore company registered in 2005. Amitabh Bacchhan: Amitabh Bacchhan is the director of 4 shipping companies as early as 1993. These companies traded in ships worth millions of dollars. Sameer Gahlaut: The head of Indiabulls bought prominent London properties through firms located in Bahamas. KP Singh: The DLF promoter holds 3 offshore entities worth $10 million. It remains to be seen how the investigation will pan out, but with the details out in the open, it is expected that RBI and other government authorities will step in look into the information that has been unearthed.